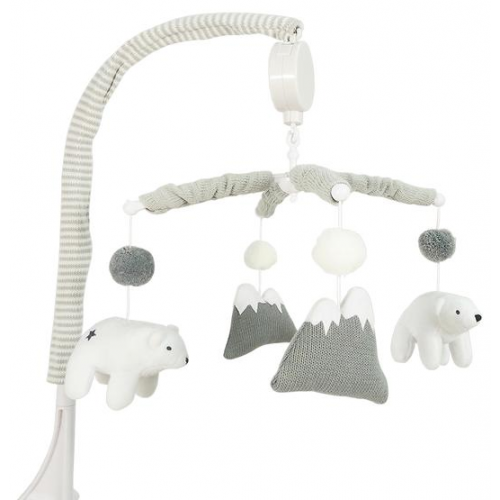 Your little one is going to love watching these sweet bears travel over snowy peaked mountains as they drift off to sleep listening to sweet lullaby's. Features a battery powered music box with 12 songs and on/off button (requires 2 x AA batteries). Toy tested to Australian/New Zealand safety standards. Suitable for age: 0-5 months.